“Mom! Dad! I want the Power Wheels Jurassic World Jeep, it’s on page 4.” These very words are soon to be extremely familiar for millions of Amazon customers all around the world receiving the “A Holiday of Play” catalog, seen in the picture below. Amazon, a company well-known for being ahead of the game technologically and setting the trend for modern day business and advertising, is now resorting to an old school advertising method by releasing their first print catalog. This is huge news for the historically electronic company. So, just why would Amazon release a print catalog? This endeavor can be attributed to many reasons. However, the primary reason for Amazon’s print catalog is the rising costs of social media. Traditional advertising methods such as an old-fashioned toy catalog will help differentiate Amazon among competitors and allow for the company to get ahead in the Christmas toy sales game. Another reason Amazon decided to release a print catalog is that it provides ease of purchase for customers. 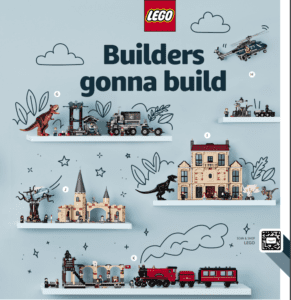 Each page of the catalog provides QR codes, as seen in the image below, which allow readers to scan with their phones and in turn directly upload products into their Amazon shopping carts or browse for similar Amazon toy recommendations. Lastly, one of the primary goals of Amazon’s “Holiday of Play” effort is to secure a new target market, primarily children and former Toys R Us customers. One of the largest toy retailers in the world filed for bankruptcy, leaving a large market segment, children, with no business to fulfill their wants and needs in the same capacity. That being said, what better way is there for Amazon to secure a young clientele then to target the children who will take the “Holiday of Play” catalog, circle what they want and return it to mom and dad, hoping on Christmas morning their circled gifts appear under the tree. As you can see, it is evident that the decision to release their first print catalog was a huge one for Amazon, one with many long term ramifications. So, what are some other long term consequences? Although Amazon will be gaining an entire new customer base as a result of this decision, the company also stands to lose the loyalty of a smaller, niche segment. Customers who are loyal to Amazon because of its extremely eco-friendly and environmental nature may be outraged by the wasteful, resource-depleting printing method. This could turn into a potential boycott of Amazon by environmental enthusiasts. Although highly unlikely, the campaign could backfire and set Amazon back in sales critical for quarter four. 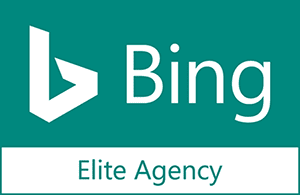 With how technologically advanced and social-media driven the world is today, it is extremely risky to resort to traditional visual marketing methods. Overall, even though there are some apparent risks with Amazon’s holiday catalog release, the endeavor will ultimately yield more benefits then losses. Amazon will most likely see a rather large increase in sales, secure a new customer market and most importantly, be labeled as the primary brand or source of children’s toys. 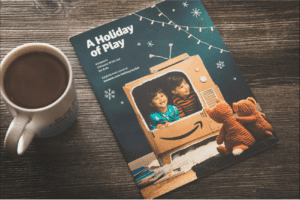 For a deeper look into Amazon’s first print magazine, “A Holiday of Play”, see the following link.